Sunday Farmer’s Market is Open Again! Come join us! The Sweetwater Sunday Farmers’ Market is a community program of the Sweetwater Organic Community Farm, a nonprofit educational organic farm in Tampa, Florida. The Market started in the spring of 2006 and has grown into a popular and vibrant community event where market-goers enjoy live music, good food, educational opportunities, shopping, and relaxing with friends and family in a pleasant farm setting. The Market reflects Sweetwater’s mission of education, community and environmental stewardship. Desired product/service types are sustainable, locally-made, health-conscious, hand-crafted and/or fair-trade. Location: Sweetwater Organic Community Farm, 6942 W. Comanche Ave., Tampa, FL 33634. Arrival: Vendors should arrive on Sunday morning between the hours of 9:00 – 11:00 a.m. to set up their booth. All Vendor vehicles MUST be removed from Sweetwater property to the designated Vendor parking no later than 11:30 a.m. Vendors should arrive no later than 11:00 or you will not have enough time to unload your vehicle and remove it from the driveway by 11:30! Arriving after 11:00 creates a traffic bottleneck and is a major safety concern for shoppers arriving early to the Market. If you arrive after 11:30 you will only be permitted to bring your set up materials in via handcart. This rule is for the safety of our market guests arriving early, volunteers, and famers. Entering the Market: Vehicles should enter from Mohawk Ave. and pull through the farm to their spot. Do not enter from Comanche Ave. Unload your vehicle and move it as soon as you’re unloaded. As you are unloading your vehicle, be conscious of parking your car in a way that allows other cars to get around you. Please set up your area after you have moved your vehicle out of the driveway. Booth Location: Vendors are not guaranteed a specific space on a week-to-week basis. Spaces closest to the barn will be allocated to our regular weekly vendors and/or those with preferred Market products. Space is provided at the discretion of the Market Manager each week. Do not begin setting up your booth until you have confirmed your space for the day. Spaces are 10 x 10 areas – please check in with the Market Manager upon arrival. Vendor Complaints: All vendor complaints should be made in writing either by email or mailed to the Market Manager. The Manager will make every attempt to address the complaint. If an amicable solution is not possible, the vendor in question may be asked to leave the market and any prepaid fees will be refunded. Spreading negative comments, regardless of avenue, about the market, Sweetwater or other vendors, without adhering to the above remediation process will not be tolerated. Equipment/Rentals: Vendors are responsible for supplying their own tent, table, chairs, tent weights, and any other materials they may need. A table and 2 chairs are available to rent on most Sundays for $10. Tent rentals, when available, are an additional $10. Contact the Market Manager in advance to reserve. Electricity: Limited electricity is available. Preference is given to the needs of food vendors. Please indicate on your application your specific needs. Change Bank: Please plan to bring adequate change (bills and coins) with you. Banks are closed and customers tend to come with ATM twenties. Market Management does not provide change. Vending Duration: Vendors must remain in their designated area until 4pm when the market closes, even if they have sold out of product. Vendors should not begin packing up until 4. Some customers linger after 4:00 and other Vendors may be finishing up sales transactions. A vehicle should never be driven into the market area until after 4:15pm, or later if customers are still present. Please be respectful of your neighbors and customers and plan accordingly. Clean-Up: Vendors are responsible for leaving their area clean and free of garbage. Packing should begin at 4:00 when the market closes and be completed no later than 5:00 p.m. so we can lock the gates. Vendors must break down their space completely prior to pulling in their vehicle. This allows traffic through the market to move quickly. The Farm Staff works very hard on Sundays and are ready to go home to start their “weekend.” Vendors who do not respect this rule and are found to be selling product well after the market closes, talking to other vendors, or otherwise “dilly-dallying” will be given a verbal warning. If the problem continues the vendor will not be allowed to vend again. The fee for vending at the market is $25 per day. The Market Manager will collect the fees from all Vendors after 2:00 p.m. on Market day. Please have your cash or check ready. Vendors should have the $25 fee upon arrival and should not count on sales for the day in order to pay the fee. (Make checks payable to: Sweetwater Organic Community Farm.) Please do not mail in your payment. Vendors are responsible for their vendor fee regardless of whether they attend the Market or not, unless they have cancelled their Vendor space reservation no later than the Wednesday before that Sunday’s market. Any vendor cancelling after Wednesday is still responsible for their vendor fee. Any vendor cancelling 3 or more times after Wednesday, will not be allowed to vend again. Every Vendor must fill out a Vendor Application each season. If you have been a Vendor with Sweetwater in the past, your application and preferred vending dates will be given priority according to market needs and overall growth. Please submit your application online, by email, or mail to the address listed below. Once an application has been approved by the Market Manager, the Vendor may reserve space. If you are a new vendor, please fill out the online application, email, or mail your application two weeks prior to your preferred start date. We may have more questions for you, so be sure to include an email address or phone number where you can be reached during the day. If your preferred start date is available and your application is approved, you will receive a confirmation email (or phone call). 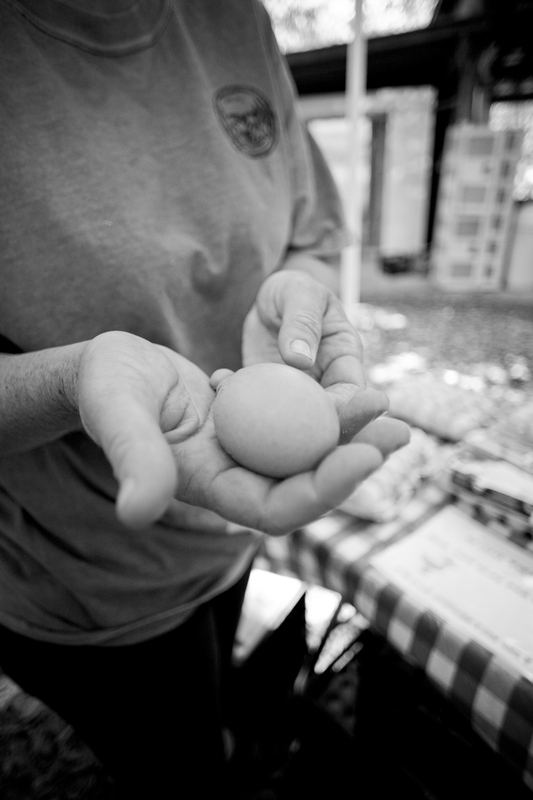 Your first visit to the farm as a Vendor is considered a screening process. The Market Manager will do an assessment of your product, booth set-up, and personal presentation. If the Market Manager does not feel that your product meets the specific needs and requirements of our Sunday Market, we will offer you feedback to help you make the necessary adjustments for future vending opportunities with us. Spaces are allocated on a first-come, first-serve basis and at the discretion of the Market Manager. “Senior” Market Vendors and highly desired products will be given priority placement within the market space. All other vendors MUST notify the Market Manager (by email, by phone, or in person) each week to reserve space prior to your desired market date. Vendors who do not arrive by 11:00 a.m. on their scheduled market date and have failed to call the Market Manager to indicate they will be late, may forfeit their space. (A cell phone number will be provided to all approved Vendors to use ONLY for last minute changes on Saturday or Sunday). Sunday morning Vendor cancellations will not be tolerated on a regular basis. If a Vendor needs to cancel their space reservation, they should email the Market Manager by Wednesday before the Sunday they were scheduled for. Vendors who cancel their reserved space after Wednesday for emergency reasons or otherwise will still be responsible for paying their vendor fee for the day. (This fee will be collected the next time the vendor is at Market.) Sweetwater relies on vendor fees each week to ensure a thriving market and cancellations after Wednesday do not give the Market Manager enough time to fill empty vendor spaces. Sweetwater strives to fill all vendors spots each week, through marketing and actively looking for vendors. A full market is appealing to our market goers and consistently present vendors create a solid business relationship with those market goers. Vendors that cancel multiple times with little notice leave conspicuously empty spots in our vendor row, which creates a bad impression on our market goers and hurts all of us. For this reason a Vendor that cancels 3 or more times after the Wednesday cutoff, will not be allowed back. Sweetwater Market does not accept walk-in Vendors. A Vendor Application must be filled out and approved before a Vendor will be allowed to vend. Approved Vendors who arrive on a Sunday morning without a space reservation will be given space at the discretion of the Market Manager and only after 11:45. We try to ensure an appropriate number of vendors within any given product category, in order to support the success of each vendor given our overall market size. Due to our size, we are a non-competition market. This means only one vendor will be allowed in each primary product line, unless there is a significant enough difference in the products offered, per the Market Manager’s decision. Similar secondary products can be sold by multiple vendors, but we will try to ensure that there are a reasonable number of vendors for those products as well, to allow variety for our market goers, but not to over saturate the market. The Market Manager will make the decision and may request that certain secondary products be pulled off your table for that reason. In general, preferred product lines are sustainable, locally-made, health-conscious, handcrafted or fair-trade. Vendor products lines are subject to approval by the Market Manager before being introduced at the Market. Vendors are only allowed to vend products for which they have been approved by the Market Manager. If a Vendor wishes to add a new product after they have been approved, they must submit the new product in writing with a description and photos if possible. Vendors are responsible for their own display material, including tables, chairs and/or 10×10 approved tent and weights. Some spaces have more shade than others. Please assume you will get sun at least part of the day. All merchandise must be of good quality. No damaged, spoiled or outdated merchandise allowed. Vendors should be courteous to all customers. Language, products and presentation must be family-appropriate. Your booth setup must be neat and orderly. No loud sound devices or hawking permitted. Vendors must remain in their own vendor space. Standing out in the walkway to attract customers is not allowed. Smoking is not permitted. Just as Sweetwater promotes the market and features vendors in our newsletter and via social media, it is the Vendors’ responsibility to create a following through those same or different channels. The success of this market depends on both Sweetwater and Vendors doing their part to promote each other in a positive manner. Vendors should support the Sweetwater Mission through their products and their customer interaction. Alcoholic beverages are not allowed for sale or personal consumption. All vendors must be pre-approved to vend at the Market. Any vendor concerns should be reported to the Market Manager by email or written letter. Vendors may not share their space with other Vendors. Pets or other animals must be pre-approved by the Market Manager. The Market Manager has the authority to remove any vendor for any reason from the market without a refund for the day. Solicitation of any type (distribution of flyers, requests for money, petitions, etc.) requires approval from the Market Manager prior to the start of market. Any materials that have not been approved and left behind will be recycled. Selling items outside of a booth space is not permitted. Obtaining the proper licenses or permits, and obeying all codes is the sole responsibility of the vendor, including any regulations of the Florida Department of Agriculture or other regulatory agencies. The vendor is responsible to secure all necessary licenses including but not limited to food for consumption, etc. The market will not close due to a general rain possibility. Our CSA Members will still arrive to the farm to pick up their produce shares. We have found that often times a morning rain shower will clear up nicely before noon. If inclement weather threatens after the market opens, we will actively monitor radar to determine if and when to close. Fees are not collected until after 2:00, so if the Market closes due to weather before 2:00, the Vendor will have paid nothing. (However, we do not offer refunds on discounted prepaid vendor fees.) If the market closes due to inclement weather after 2:00, there will be no refunds but the Market Manager may offer a discounted amount at his/her discretion.